The moulded-rim jar, Camulodunum form 262, is the British representative of the class of vessels known as le type Besançon (after Ferdière & Ferdière 1972). This ‘type’ occurs in a wide range of wares, but the distinctive hand-formed, micaceous fabric, tempered with weathered fragments of a coarse-grained granite typical of the Camulodunum specimens is the most widely distributed of the fabrics. 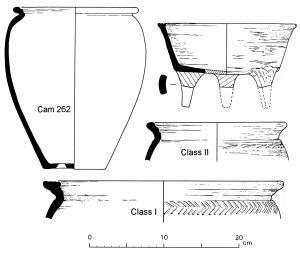 Petrological analysis confirms that jars and bowls in this ware are present on Late Iron Age and early Roman sites across central and western Gaul, and sporadically in southern Britain. The source of the ware probably lies in or near the Morvan, in southern Burgundy. A part of the wide distribution of these jars may be due to their use as containers, perhaps for prepared foodstuffs. The proposed source region lies adjacent to important trans-Gaulish trade routes. The relationship between the granite-tempered ware and the wider type Besançon phenomenon is discussed. These pages concern a class of coarse pottery produced in Central France during the Late Iron Age and early Roman periods (later 2nd and 1st century BC). This has a wide but thin distribution across central, north and western Gaul, and is also found in pre-conquest assemblages in southern Britain. They are intended as an accompaniment to a paper describing the petrology, typology, distribution and chronology of the ware given at a conference in Arras (France) in 1998 and published in volume 12 of the journal Nord-Ouest Arch�ologie (2001). The volume can probably be ordered through specialist archaeological bookshops such as Oxbow Books, or might be obtainable through archaeological libraries. Pages describing the volume with a list of contents are available here (or here). A short summary of the fabric, its history and distribution can be found on this page (also available as a downloadable PDF file). These web pages do not duplicate the contents of the published report. Instead they give access to a database containing further details of the sites, vessels and petrological analyses which could not be included in the published paper due to space and other limitations. Fig 7 : Distribution of Central Gaulish granite-tempered ware. Fig 8 : Distribution of Camulodunum type 262 / le type Besançon. The database includes conventional archaeological data such as site locations, provenance and bibliography. In addition (and taking advantage of the possibilities offered by web publication) there are photographs or scans of some of the original sherds, scans of drawings or sketches and extracts from the original publications of some vessels, sometimes annotated — the electronic equivalent of the photocopies and notes compiled during the original research project. 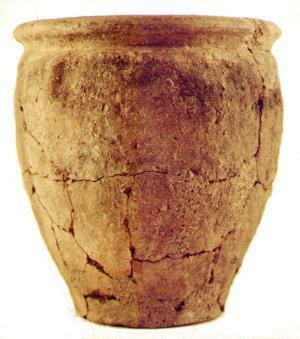 Details of the provenance of the vessels illustrated in the original paper are also available. This is in part an exercise in extending the depth and value of the data supporting the conclusions in the published report, and will be enhanced as new technologies become available. 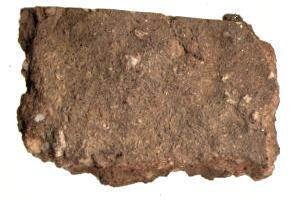 These pages are part of the POTSHERD site - a general resource on Roman pottery studies. 2004-08-16 Some adjustment to path names to cope with new server. 2003-10-28 Some adjustment to path names and format of thin-section data. 2003-07-27 Added page listing provenance of illustrated vessels. 2003-07-23 Added photographs of sample petrological thin-sections. Added pot drawings to some site records.